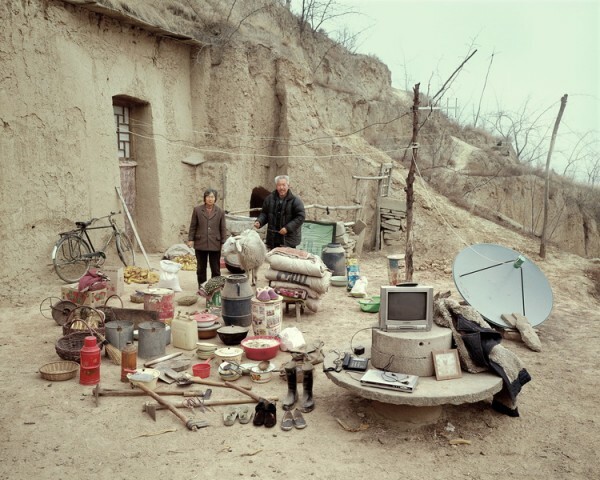 Opening: Saturday September 13th 5-7 p.m.
On Saturday September 13th 2014, Anthropologists in Art will have the honour to open the exhibition ‘Family Stuff’ by Chinese photographer Huang Qingjun (1971, Daqing) at Amsterdam’s WM Gallery. Huang’s series ´Jiadang´, or ‘Family Stuff´, has at its core a premise that seems alluringly simple; he asks families to gather all their earthly possessions and display them in front of their homes. He then photographs them in the midst of all their ‘family stuff’. Starting in 2003 when Huang was commissioned by National Geographic to take pictures of Chinese families´ material goods in Inner Mongolia and three Eastern provinces, Huang continued travelling around China for over a decade recording people´s material wealth and /or paucity. 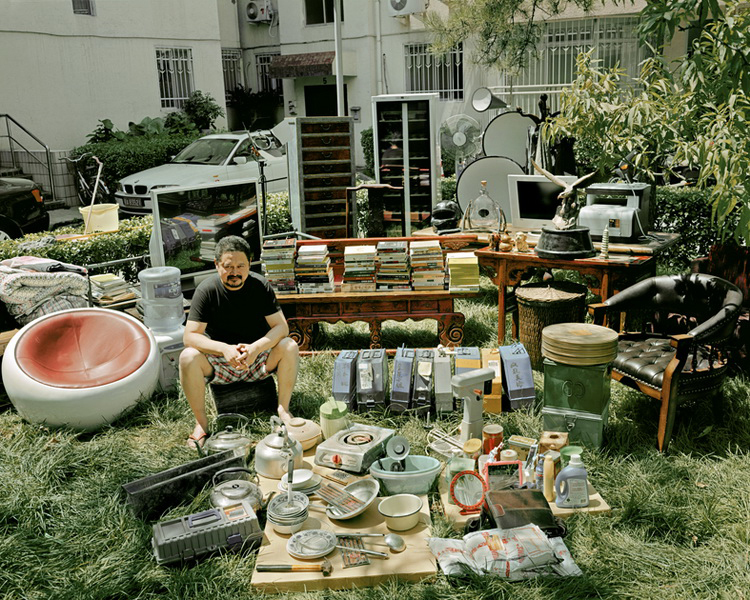 Huang’s praxis of asking people to pose among their worldly goods does seem temptingly simple, yet it belies the density of the series’ deductive implications for the viewer, not to mention the difficulty of explaining the purpose of his project to his subjects – some of whom had never been photographed before. 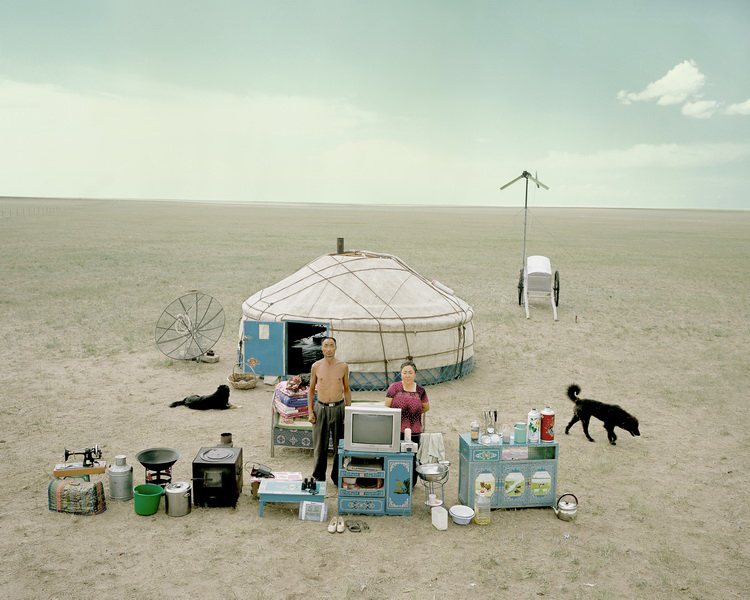 Aside from the individual quality of the photographs themselves, viewing them as a series is a fascinating experience. 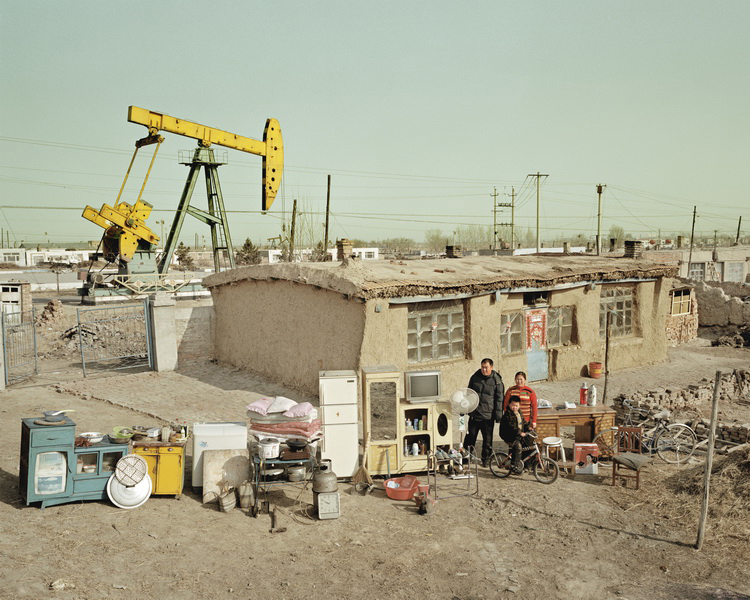 The sheer variety of subject matter depicted – the surroundings, architecture, ethnicities, domiciles, families and finally, the amount and quality of their possessions – forces the viewer to gain a new appreciation for the oft-overlooked diversity of Chinese society. Moreover, Huang’s series appeals directly to our inherent voyeurism. Our desire to look at other people’s stuff is intoxicating, especially when they aren’t watching us. In this case we may do so unashamedly. Furthermore, Huang’s ‘Family Stuff’ demonstrates a rare sensibility of his examination into China’s recent headlong dash into unbridled consumerism. In the 1950’s, ‘The Big Four’ was a phrase specifying the most sought-after goods of recently married couples. These comprised a sewing machine, a bicycle, a watch and a radio. By the 1980’s, the ‘Big Four’ included a TV, a washing machine, a rice cooker and a fridge. Nowadays, with the flooding of the Chinese market with all manner of luxury goods, it has come to denote the latest trends in consumer fashions, ranging from Mercedes Benzes and BMWs to the latest smartphones and stereo-surround systems. Through the focus on Chinese families’ contemporary material culture, one can glean an understanding of the changing values, beliefs, attitudes and ideas that underlie Chinese society today. In that sense, ‘Family Stuff’ not only captures a mesmerising record of contemporary Chinese families’ material wealth, it also hints at Chinese society’s aspirations and ambitions in terms of its future. 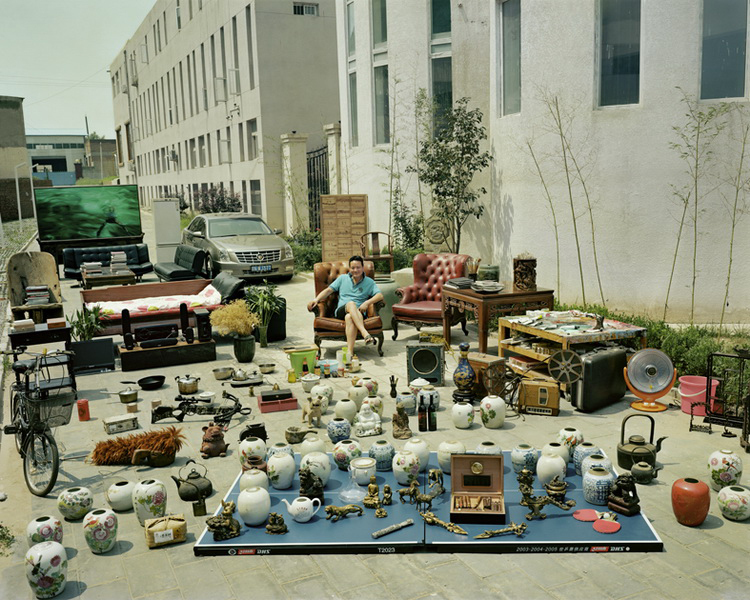 ‘Family Stuff’ will be the first exhibition of Huang Qingjun in The Netherlands.